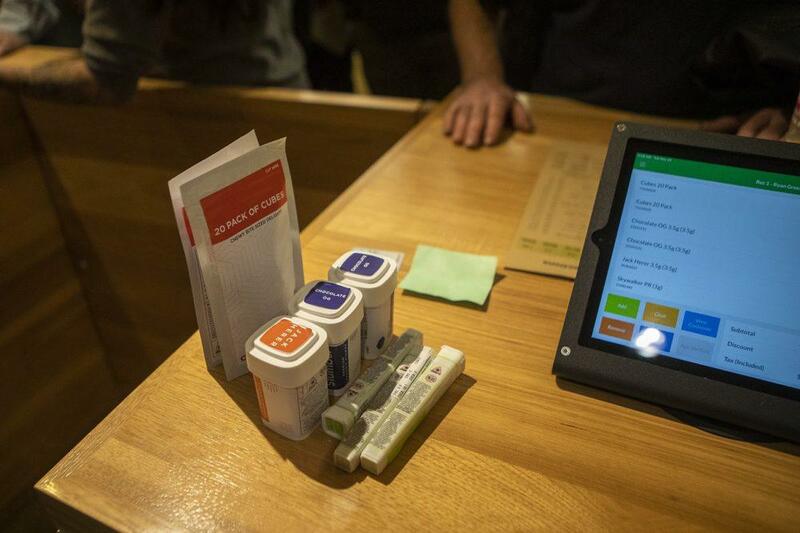 Marijuana products sit on a counter at Cultivate in Leicester, Massachusetts, as they're rung up for purchase. Connecticut State Police say they have no special checkpoints or other plans to monitor residents driving to and from the new cannabis shop in Northampton, Massachusetts, which is about a half-hour drive from the state border. While medical marijuana is legal in Connecticut, recreational pot is not. Connecticut State Police spokesperson Tanya Compagnone said troopers will remain vigilant as usual. "Despite what the laws may be in any surrounding state, once an individual comes into the state of Connecticut, they have to adhere to Connecticut state laws," she said. "Failure to do so, as it relates to marijuana in Connecticut, may result in the arrest of the violator." Compagnone said Connecticut troopers will also be on extra patrols this week to ensure road safety during what's been called the busiest travel time of the year.